Östersund vs Hertha Berlin – Thursday, September 28, 18:00BT/19:00CET – Jämtkraft Arena, Östersund. Hertha Berlin’s Englische Wochen (the German term for midweek fixtures) continues. Hertha took three points from Bayer Leverkusen on Wednesday and were then defeated 1-0 by Mainz away from home—sitting in eighth place Hertha have now won two, drawn two and lost two after matchday 6. It has been a solid start by the team from the German capital, but there is always a sense that Hertha are missing something. In fact, most of the games Hertha are involved in are deemed boring. Coached by Pal Dardai Hertha are a side that gets the job done on the pitch without spectacular football. As a result, the club is somewhat struggling to define a proper identity, which means Hertha has the status of mouse grey club in one of the hippest cities in Europe. Hertha signed the likes of Karim Rekik, Valentino Lazaro and Davie Selke in the hope that one of them could develop into a young and upcoming star. Lazaro and Selke, in particular, are supposed to become the new faces of a team that would like to see itself as the face of a modern Berlin. Lazaro and Selke have struggled with injuries early on, and the new identity project has somewhat stalled at the beginning of the season. European success could be the other way for Hertha to sharpen their profile; a lacklustre 0-0 draw on matchday 1 against Athletic Bilbao has somewhat taken the steam out of the European euphoria, however. Berlin, therefore, travel to Sweden wanting to secure their first three points. Located in the very hard of the country Östersunds FK are one of the most unusual clubs in European football. Founded in 1996 the club has been coached by the Englishman Graham Potter for the last six seasons. Potter took over the club in the fourth division and with the help of President Daniel Kindberg put together a team that not only managed promotion all the way to the top division but only spend money on one transfer—Saman Ghoddos was signed for €75,000. On the field, the club has been the safety net for players, who have struggled elsewhere. Off the field, Östersunds FK has made the headlines for their participation in various cultural events in the region. Players a made to participate in theatre pieces, book clubs and contribute to different social projects in the region. In some ways, Östersund have become the St. Pauli of Sweden an alternative club with an original vision, which is trying to go against the mainstream of global football. The projects off the field have helped the club to put together a unit on the field. In the Europa League, the club made headlines when they eliminated Galatasaray in the playoffs. On matchday 1 they then went on to defeat Zorya. In the national Allsvenskan Östersund are sixth after matchday 25—Sweden uses the Spring to Fall calendar—and are still within reach of achieving a Europa League spot in the coming year. For Hertha, this means that they will be facing an inform opponent that should not be underestimated. Saman Ghoddos is one of the many projects, who have joined Östersund to get their career back on track. The forward joined Östersund in 2016 from Syrianska and has since become one of the most fascinating players in the Swedish Allsvenskan. This season Ghoddos has scored seven goals, and six assists and the management of the club expect that the Swedish national team player with Iranian roots will leave the club this winter. Hertha has been among the interested candidates in the past, but a €4 million price tag has somewhat scared of the team from the German capital. 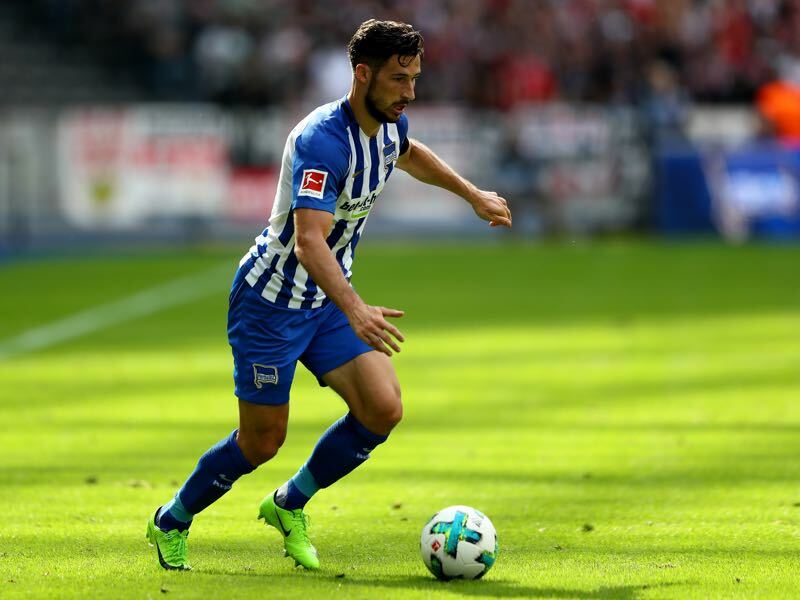 Mathew Leckie has already more than quadrupled his goalscoring output from last season in his first game for Hertha Berlin this season. Playing for Ingolstadt last season Leckie managed no goals and three assists in 30 games. Six games into the Bundesliga season Leckie has already managed four goals in six games. Brought in to give Hertha more pace head coach Pal Dardai has been pleased with Leckie’s contribution especially as nominal striker Davie Selke has been out with a long-term injury. The sides are meeting for the first time in what is Östersund’s first encounter with German opponents. 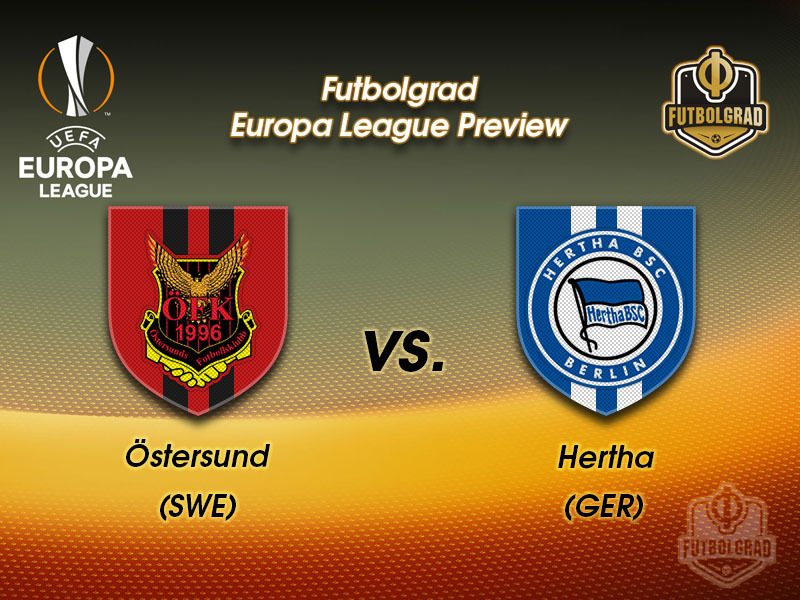 Hertha have won all three of their previous UEFA encounters against Swedish sides. Östersund’s 2-0 success at Zorya on matchday 1 was their biggest UEFA away win to date—they have won all three of their previous European home games without conceding. Hertha lost their two most recent UEFA away games: 3-1 at Brøndby in 2016 and 4-0 at Benfica in 2010.